External Affairs Minister Sushma Swaraj has sought a report from the Indian High Commissioner in Pakistan over the abduction and forcible conversion of two Hindu teenage girls in Pakistan on the eve of Holi. According to reports, the girls – aged 13 and 15 – were kidnapped from their home in Dharki town of Ghotki district of Sindh. They were then forcibly converted to Islam. 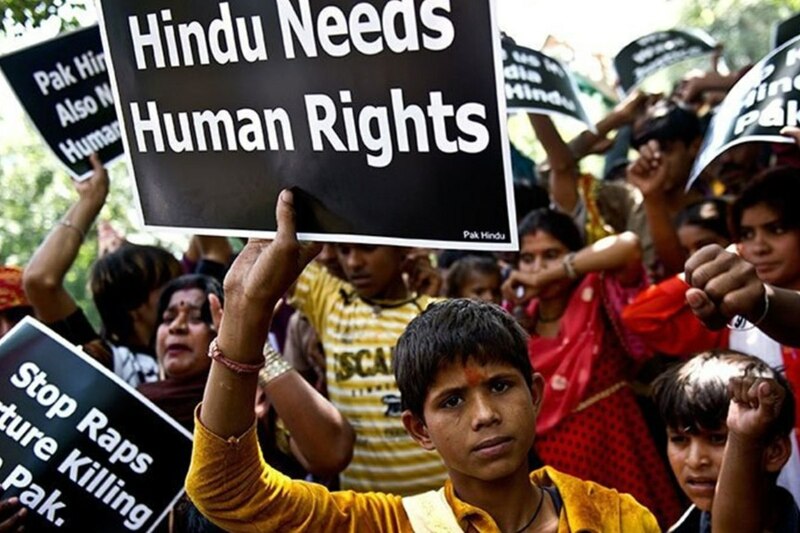 Authorities in Pakistan tried to brush the incident under the carpet but were forced to investigate after human rights groups and members of the minority Hindu community staged protest demanding action against the perpetrators. Reports say that one person was arrested in connection with the incident. Videos of the protests show the girls’ father and brother saying that the two were kidnapped by influential persons and were forced to convert. According to Pakistan Today, the police claimed that the girls converted on their own free will and said this on record in a video. But another Pakistani daily, The News International, pointed out that “forced conversions are too easily – and too often – disguised as voluntary conversions”. On Friday, the Human Rights Commission of Pakistan (HRCP) raised the abduction and forcible conversion case of the two girls while demanding that the Sindh Assembly resurrect and pass a bill criminalising forced religious conversions and subsequent forced marriages. The bill, Sindh Criminal Law (Protection of Minorities) Bill 2015, was passed in November 2016 but taken down soon after following threats from the fundamentalist Islamist parties which hold considerable sway over Pakistani politics and daily life. Interestingly, Pakistani Prime Minister Imran Khan had on 25 December 2018 tried to lecture India on the subject of treatment of minorities claiming that his ‘Naya Pakistan’ will ensure that minorities are treated as “equal citizens, unlike what is happening in India”. 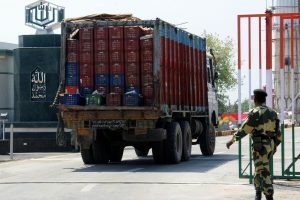 Khan’s tweet was criticised by Indians, including Mohammed Kaif, who pointed out the abysmal condition of minorities in Pakistan and their steadily declining population compared to the minorities in India. Reacting to the abduction and conversion of Hindu girls, Sanjesh Dhanja, President of Pakistan Hindu Sewa Welfare Trust, called on Khan to prove that minorities were indeed safe and secure in Pakistan. “The truth is minorities suffer from different sorts of persecution and the problem of young Hindu girls being kidnapped at gunpoint and forced to convert to Islam or get married to much older men is widespread in Sindh,” he was quoted as saying by PTI. India has been constantly raising the issue of plight of minorities, particularly the Hindu community, in Pakistan.